Are Rotating Knee Replacements a Better Implant? Total knee replacement surgery is a procedure done to replace worn-out cartilage of the knee joint with a metal and plastic implant. New research is constantly taking place to design a knee replacement implant that will be both reliable and last a long time. Part of designing a knee replacement is a keen understanding of the materials used to replace the normal knee joint surfaces. Second, the design attempts to create an implant that will replicate a normal knee as best possible. By doing so, the patient will be able to participate in the same activities before and after surgery. The rotating knee replacement implants not only swing back and forth (like a hinge), but the knee can also rotate inwards and outwards (a twisting motion). Because a normal knee joint rotates a small amount, the rotating knee replacements are intended to more closely replicate normal knee motion. You may have seen magazine or television advertisements about rotating knee replacements. Several companies are marketing these implants as the next step in knee replacement design. These advertisements would lead you to believe that rotating knee replacements are much better. But is this true? Do the rotating knee replacements work better and last longer than traditional knee replacements? Why Does this Rotation Matter? 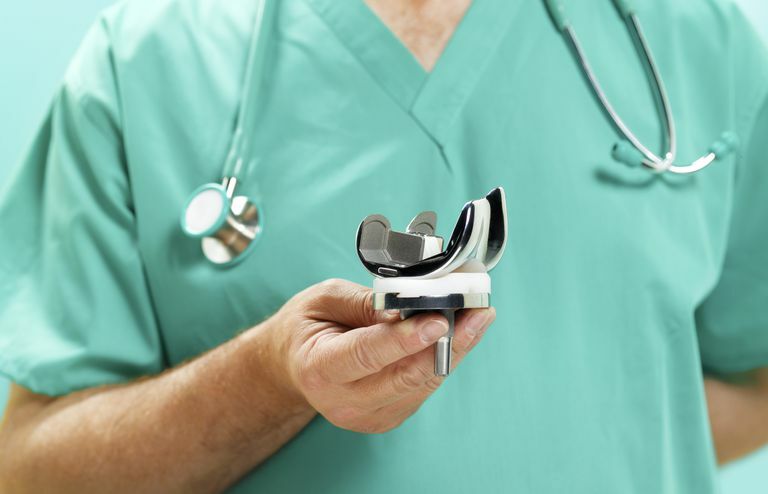 We really don't know that it will matter, but the hope is that by acting more like a normal knee joint, the rotating knee replacements will have fewer stresses on the implant than traditional knee replacement implants. With less stress on the implant, the plastic part of the knee replacement may last longer. All joint replacements are limited in that they tend to wear out over time. Knee replacements usually last at least 20 or more years, but they do not last forever. This is a problem for all patients, but especially for patients who have knee replacements at a younger age (less than 60 years old). These patients will likely wear out their knee replacement during their lifetime. The rotating knee replacements may have less wear on the implant and may last longer than traditional knee replacements. Unfortunately, this is just a theory. No one really knows that the rotating knee replacements are better than traditional knee replacements, and some surgeons will argue that they are worse. Some surgeons believe that the additional motion can lead to faster wear of the implant over time. The problem is, the rotating knee replacements have not been around for long enough to determine who is correct. No one knows with certainty the long-term results with the rotating knee replacements. Should I Have the Rotating Knee Replacement? This is a question you need to discuss with your doctor. There are some good data, mostly from studies in Europe, that show the rotating knee replacements work as well as traditional knee replacements. However, there are not any long-term studies that show these rotating knee replacement implants are much better over long periods of time (25 years or more). Fortunately, rotating knee replacements look and act much like traditional knee replacement implants. The surgery is the same, and the recovery is the same. Some surgeons feel that ligament balancing of a rotating knee replacement is more difficult than a traditional knee replacement, but this is not agreed upon by all surgeons. There may be a difference between the rotating knee replacements and traditional knee replacements, but it is likely a small difference. You can discuss with your surgeon if this is a difference that should matter to you. Aglietti P, et al. "Comparison of mobile-bearing and fixed-bearing total knee arthroplasty" J Arthroplasty. 2005 Feb;20(2):145-53. LCS Complete Rotating Platform Knee System: From DePuy Orthopaedics (Johnson & Johnson).